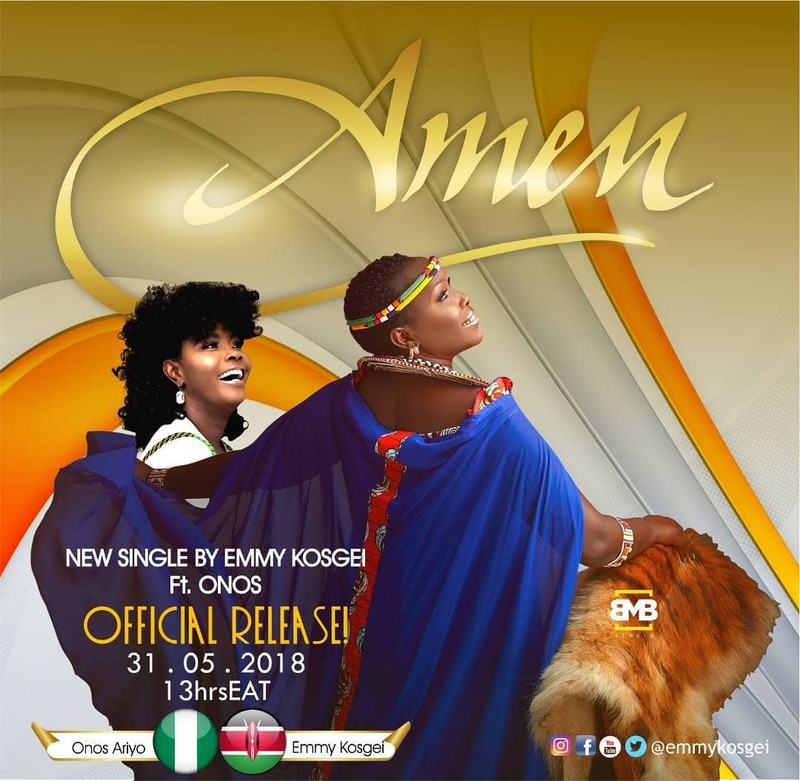 “AMEN” is an African worship song written by Emmy Kosgei. It was recorded and produced in Lagos by WILSON JOEL. Pastor Amb. Emmy Kosgei Madubuko hsc. is the music pastor, RAWF patron and the First Lady of Revival Assembly Church, married to Apostle Anselm Maduduko, the Apostolic leader of Revival assembly church. She is a multiple award-winning gospel artiste Acclaimed musician not only in her home country Kenya, but also Globally. After receiving honorary award by the head of state, she was appointed Kenya’s national global tourism culture Ambassador by Kenya government. She represented Kenya recently at the master peace –in concert in the Netherlands. She has five albums, some of her highly acclaimed songs includes ‘taunet nelel’ ‘Ategisin’, ‘ololo’, among many, which have won her numerous awards on local and international music scene. She has won BEFTA AWARDS UK, AGMA AWARDS UK, OVER 10 GROOVE AWARDS, EAM AWARDS, HEAD OF STATE COMMENDATION BY THE PRESIDENT OF THE REPUBLIC OF KENYA.